Should you offer group health coverage to employees? With the employer shared responsibility penalties for large employers now in place, employers must decide whether they will offer employer-sponsored health coverage that complies with the Affordable Care Act (ACA) or drop coverage and lose a valuable attraction and retention tool. Likewise, small employers may also be debating the benefits of offering group coverage or having employees enroll in individual plans. 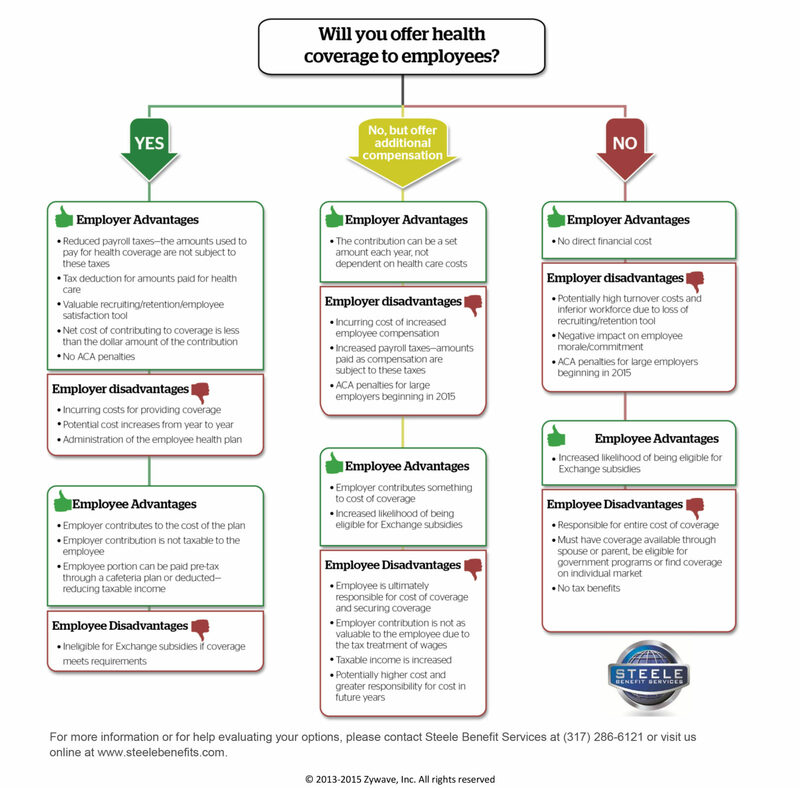 The flowchart below looks at the advantages and disadvantages of three of the options available to employers: offering coverage; eliminating coverage, but increasing compensation; or not offering coverage without offering any increase in compensation. To download the full infographic, click HERE.